this year’s festival is guided by the question, “Wey You Dey?” (pidgin English for “Where Were You?”) “Wey You Dey” asks people of the Diaspora to reflect on a specific moment in their lives and to create a story from that moment. Be a part of BdA 2018! One of the main goals with the festival is to give roots to a Diaspora that was spread overseas, many of who will never return. How can we communicate across languages forgotten, forced, or adopted? The answer lays in stories from our life. So share with us. Do you have an image, a journal entry, a story, a song, a thought, or the memory of a conversation that lingers with you? We want to hear it. You don't have to be a poet or write a novel; We simply want an experience from your life that you carry with you wherever you go or one that you have to dig to remember. Pick a date and time; and give us the memory/dream that you have of that date and time. “Where did we come from?” “Why are we here?” “Where are we going?" Bacchannal de Afrique is the gifted child of Afro Urban Society & an exuberant network of brilliant artists and culture workers dedicated to celebrating the unique expressions of Urban Africans through performance and community activism. supporters of bacchanal de afrique believe that the telling of our stories, is critical to our survival. "From it’s birth, Bacchanal de Afrique was intended to be a cultural phenomenon that stretched the length and breadth of America, and united Urban Africans in a way that had never been done before. Bacchanal 2018 will see that vision take a giant step forward with twice as many artists and performers involved than the previous year, an audience three times the size of the previous year, and with productions and events in both Oakland and San Francisco! At the heart of this year’s festival is an immersive performance guided by the question, “Wey You Dey?” (pidgin English for “Where Were You?”) “Wey You Dey” asks the people of the Diaspora to reflect on a specific moment in their lives and to create a story from that moment. 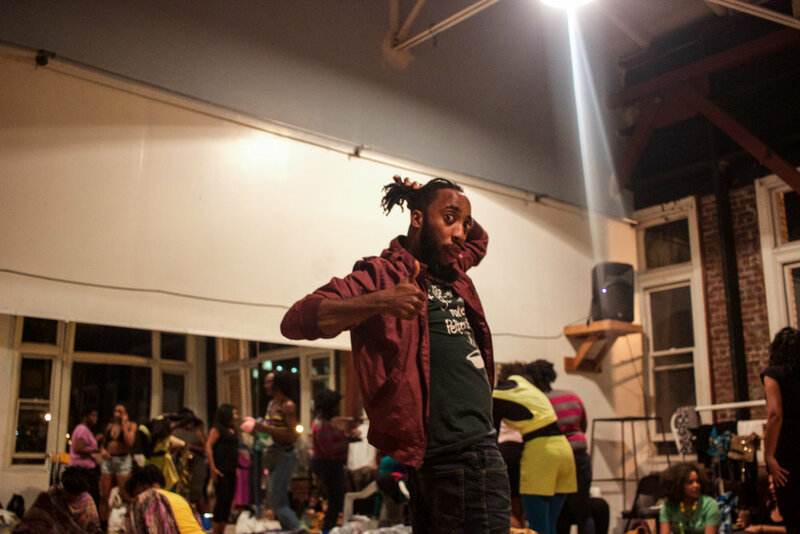 These stories, using dance, video projections, music, and ceremony, will be woven into a timeline of Urban African history, set against the bump and grind of the African musical landscape. As with our previous festivals, the audience is an active player in weaving the timeline as we explore the questions, “Where did we come from?” “Why are we here?” “Where are we going?” This is an immersive production unlike anything you've seen before!"